We had wonderful community support for Long Term Care week this year at Rosiclare Rehabilitation & Health Care Center. We were given the opportunity to have a Model-T brought to our facility, alongside a ’39 Chevy Coupe, for our residents to enjoy looking at, and get up close and personal with. 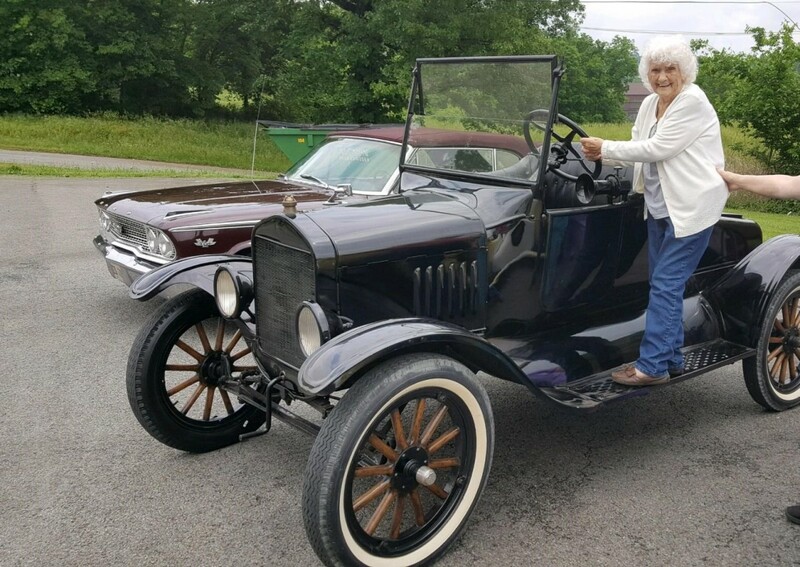 We have our free spirited, young at heart Lucille Turner who wanted to relive her younger days and climbed right up on the side of the Model-T. It was a great way for us to see the younger side of our residents, and really allowed them a chance to feel like teenagers again. We even had a reminisce group about the “good old days” and what their first cars were when they got their license. The joy the cars brought to our residents also helped remind us as staff why we are in this field, and why we do the jobs we do.